There are more than 700 types of bacteria in your mouth. While some of these types are considered ‘good’, most are hazardous to your oral health. This is why it is important to adopt an efficient oral hygiene routine that removes these bacteria colonies. There are times when brushing with regular, over-the-counter (OTC) fluoride toothpaste cannot successfully address bacteria or plaque build-up, that can lead to cavities and gum disease. This is when your dentist may prescribe prescription strength fluoride toothpaste. What Does Fluoride Do for Teeth? Fluoride is a naturally occurring mineral that helps strengthen tooth enamel. Cities throughout the U.S. frequently add small amounts of fluoride to the water source to help strengthen their residents’ teeth. Fluoride is also commonly found in toothpaste, mouth rinses, and supplements. Fluoride can help prevent cavities and reverse the early signs of tooth decay by remineralizing your damaged tooth enamel. After you consume carbohydrates and sugar, the harmful bacteria in your mouth will break them down, creating an acid. This acid will eat away at the protective enamel coating of your teeth, and eventually, will make teeth appear transparent. Transparent or translucent teeth are one of the initial signs of enamel wear. Once the tooth enamel is weakened, your teeth will become more vulnerable to the development of cavities. Orthodontic Patients – These patients are undergoing orthodontic treatments that involve complex fixed braces. These treatments can make it difficult for a patient who is prone to tooth decay to prevent the development of new cavities during treatment. Patients with a History of Cavities – Patients who have a history of cavities, weak enamel, or a fluoride deficiency are at a higher risk of developing cavities without the use of prescription toothpaste. Patients with Dry Mouth – Saliva helps wash away bacteria in the mouth. Patients with dry mouths produce less saliva. An insufficient amount of saliva can allow bacteria to thrive, causing damage. Gum Surgery Patients – Studies indicate that the majority of gum surgery patients develop cavities on the roots of their teeth within four years of their procedure. Prescription toothpaste with high levels of fluoride can decrease these cavities by 70 percent. The toothpaste most similar to what we use today started to emerge in the early 1800s, and has continued to develop over time. Fluoride was first added to toothpaste in the 1960s, after studies demonstrated its cavity-fighting and enamel-strengthening benefits. Prescription toothpaste, like PreviDent, are a relatively new concept. Colgate released the first PreviDent gel product in 1985 for patients with a high-risk for cavity formations. 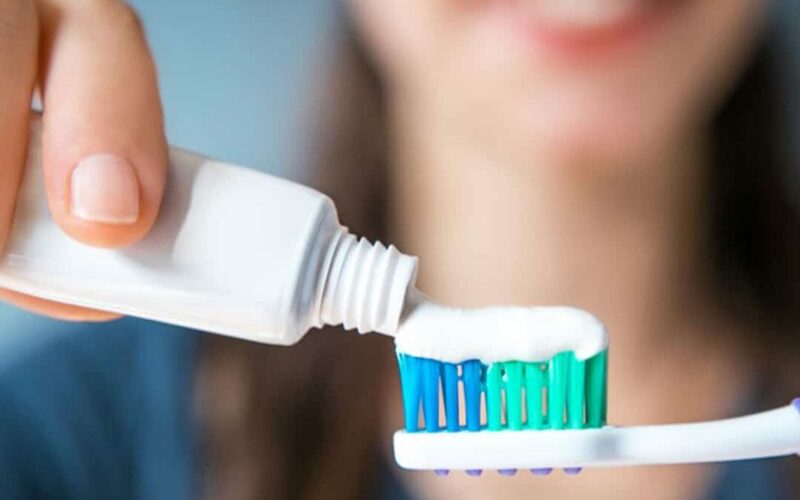 Unless otherwise directed, you should substitute your prescription toothpaste for your original toothpaste during one of your brushing sessions each day, preferably at bedtime. After brushing for two minutes, be sure not to swallow any of the prescription toothpaste. Do not rinse your mouth, eat, or drink for 30 minutes to an hour after brushing. Avoid getting toothpaste around the outside of your mouth as it could cause a perioral dermatitis flare-up. It has been proven that fluoride and SLS, found in prescription toothpaste, can cause this type of rash. If you are prone to cavities or have weak tooth enamel, talk to your dentist about prescription toothpaste. Dentists will only prescribe prescription strength fluoride toothpaste to patients if the benefits will outweigh any potential negative side effects. Raleigh residents, make an appointment at Triangle Dentistry for a dental cleaning today, and see if prescription toothpaste is right for you. Triangle Dentistry located in Raleigh, NC provides a state-of-the-art facility that offers exceptional general dental and specialty services guided by empathy of patient’s needs and desires. Services range from dental crowns and implants to veneers and whitening procedures. For further information, questions or to schedule an appointment, contact the office at (919) 747-3592.